Black people is a term used in certain countries, often in socially based systems of racial classification or of ethnicity, to describe persons who are perceived to be dark-skinned compared to other given populations. As such, the meaning of the expression varies widely both between and within societies, and depends significantly on context. 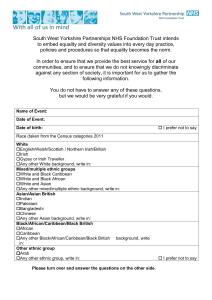 For many other individuals, communities and countries, ""black"" is also perceived as a derogatory, outdated, reductive or otherwise unrepresentative label, and as a result is neither used nor defined.Different societies, such as Australia, Brazil, the United Kingdom, the United States and South Africa, apply differing criteria regarding who is classified as ""black"", and these social constructs have also changed over time. In a number of countries, societal variables affect classification as much as skin color, and the social criteria for ""blackness"" vary. For example, in North America the term black people is not necessarily an indicator of skin color or ethnic origin but is instead a socially based racial classification related to being African American, with a family history associated with institutionalized slavery. In South Africa and Latin America, mixed-race people are generally not considered ""black"", and in other regions, such as Australia and Melanesia, the term ""black"" has been applied to and/or used by populations with different histories and ancestral backgrounds.